I finally tried my hand at a clear card. 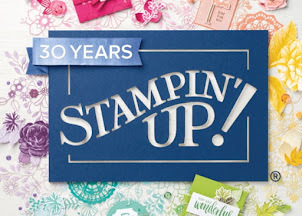 There is a wonderful tutorial on the splitcoaststampers website. Use acetate (found at any office supply store as overhead projector sheets), and White Staz-On ink. I've had this ink and hadn't even used it! Anyway, here is my card. 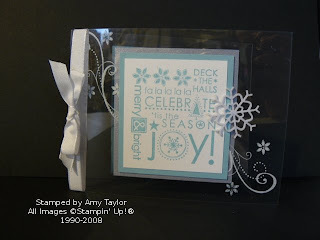 I used the Season of Joy stamp set and Baja Breeze, Shimmery White, and Brushed Silver card stock. For accessories, I used the Little Felt Flurries from the Holiday Mini Catalog and Whisper White taffeta ribbon.